An app that can estimate the daily energy expenditure of any species of seabird anywhere around the world has been developed by researchers at the University of Liverpool. The app was developed by using information from over 60 studies about energy usage in seabirds, covering 47 species to create a model to work out rates of metabolism for any breeding seabird population. Seabirds are important marine predators and have a huge impact on the marine world, consuming large numbers of fish based on their different energetic requirements. 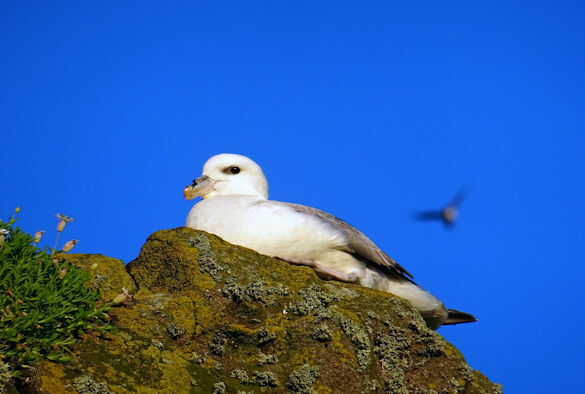 Ruth Dunn, a PhD candidate in the School of Environmental Sciences, developed the app as part of her research into the energy expenditure of seabirds which is published in the Royal Society journal Biology Letters. Her study found that larger seabirds that live closer to the poles have the highest rates of metabolism and will therefore require more fish. She said: “The metabolic rates of many seabird species have never been studied before and this app therefore opens up many possibilities to explore how best to share our seas with seabirds. The app is able to work out the metabolic rate of seabirds all over the world which will help inform discussions about how we share the fish in our seas with seabirds. For free-ranging animals, field metabolic rate (FMR) is the sum of their energy expenditure over a specified period. This quantity is a key component of ecological processes at every biological level. The paper `A model to estimate seabird field metabolic rates’ is published in the journal Biology Letters (doi:10.1098/rsbl.2018.0190).